EXCLUSIVE! 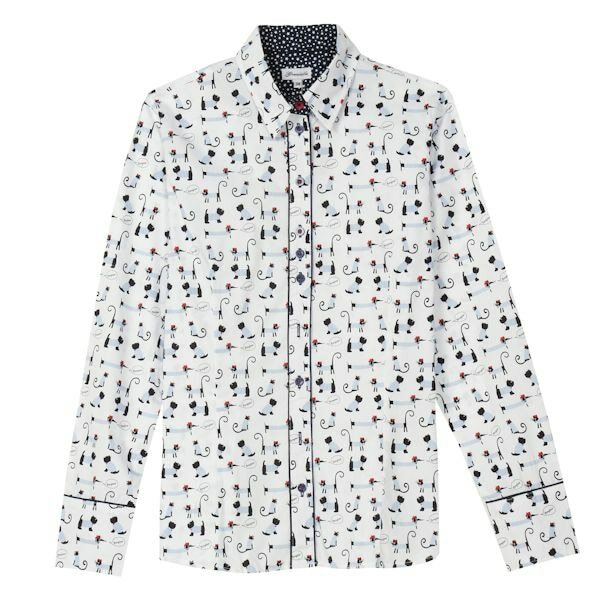 Absolutely ingenious illustrations and fine craftsmanship define these button-down shirts, with contrast piping and classic details you'll love. Black-and-white patterns match any outfit. Machine wash. 100% Cotton. Imported. S-XXL. Small (8-10), Medium (12-14), Large (16-18), XL (20), XXL (22).